You know how it goes: get up at the crack of dawn, have your butler grab you your favorite coffee from Starbucks, go and get a massage, have your hair and make up professionally done by your own personal make up artist and have your outfit custom designed by your Italian wardrobe stylist. And then we're off! Skipping merrily to a fancy holiday party. My story went more like this: I got off a 26 hour shift, cleaned my house (Thank the Lord for finally giving me the strength and time), did the SLIGHTEST bit of laundry (you know, literally washing the ESSENTIALS), got like 3 hours of sleep, scuffled to put together an outfit, trip over myself as I run out the door, forgot my phone, and RSVP'd on my way to the party (I'm terrible). But the fancy holiday party was right. Though my start was rough, I wanted to post this fit to prove that you can work hard and slay hard too. This was my get up for our residency program holiday party. Only one BOB featured here, but all other pieces are totally affordable! I love this dress from ShopNicholeLynel, it's super chic, but also fashion forward and girly. The ruffles let me express what little girly features I've got inside of me. Similar to what Bey wore to SNL for Solange's performance in 2016. I also own this dress in black, and let me tell you what this dress and a pink lip will get you: the list is too long! 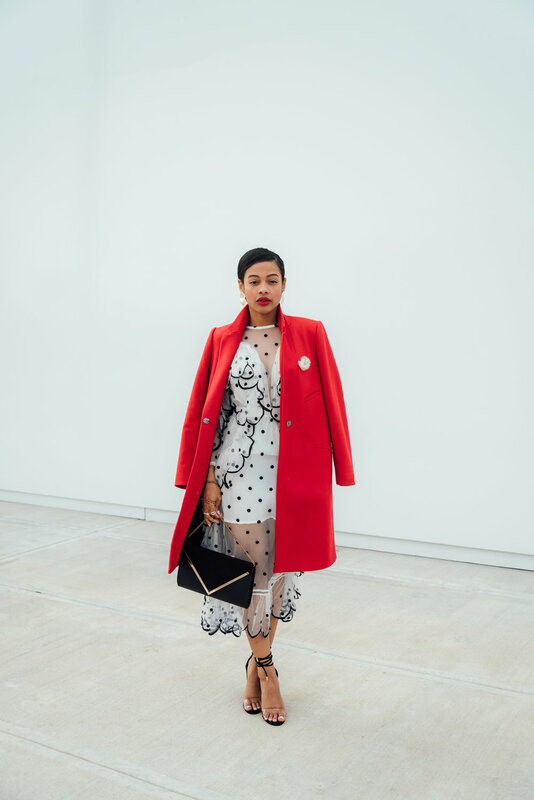 The red overcoat from Zara let me posh up the whole look, with it's long sleek symmetrical and clean lines. I chose to drape it over my shoulders vs. actually wearing it, 'cause let's be honest, it ain't that serious in Houston. Coats are accessories, not a necessary wardrobe item. My shoes are from LolaShoetique and were super cheap, yet minimal and classic. 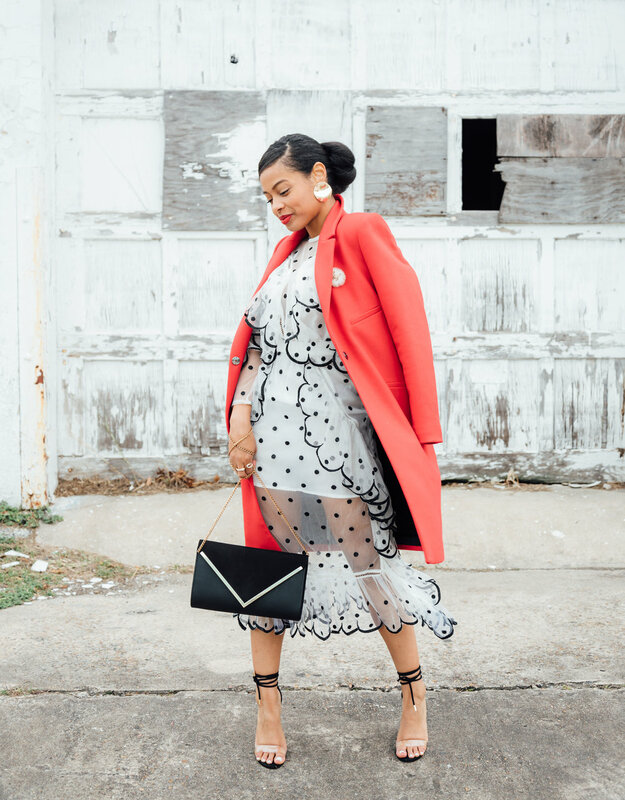 There was already a lot going on with the dress and the pop of red with the coat, so I wanted to play down the shoes and let everything else speak for itself. (Follow them on IG for discount codes! I got my pair for only $24!!!). Hope your holidays pop just as much as this outfit! Let me know if you would rock this below. Till next time!